Lalami joins a diverse team of proudly provocative long-time Nation columnists. Lalami, who began writing for The Nation on fiction, film, and the politics of identity over a decade ago, is a professor of creative writing at the University of California at Riverside. 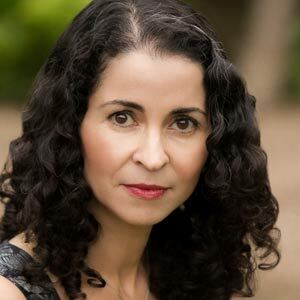 She is the author, most recently, of The Moor’s Account, which won the American Book Award, the Arab-American Book Award, the Hurston-Wright Legacy Award and was a finalist for the Pulitzer Prize for Fiction. Her previous works include the novels Hope and Other Dangerous Pursuits and Secret Son, and her writing has appeared the New York Times, the Los Angeles Times, The Guardian, and in many anthologies. Born and raised in Morocco, Lalami holds degrees in English and Linguistics from Université Mohammed-V, University College London, and the University of Southern California. She is the recipient of a British Council Fellowship, a Fulbright Fellowship, and a Lannan Foundation Residency Fellowship. She currently lives in Santa Monica, California. Lalami joins a diverse team of proudly provocative long-time Nation columnists who provide timely analysis and crucial context to dynamic, pressing and under-reported issues of race, immigration, inequality, labor, health, social justice, voting rights, women’s rights, and American democracy. The current columnist masthead features Eric Alterman (“The Liberal Media”), Naomi Klein (on leave), Katha Pollitt (“Subject to Debate”), Patricia J. Williams (“Diary of a Mad Law Professor”), and Gary Younge (“Beneath the Radar”).